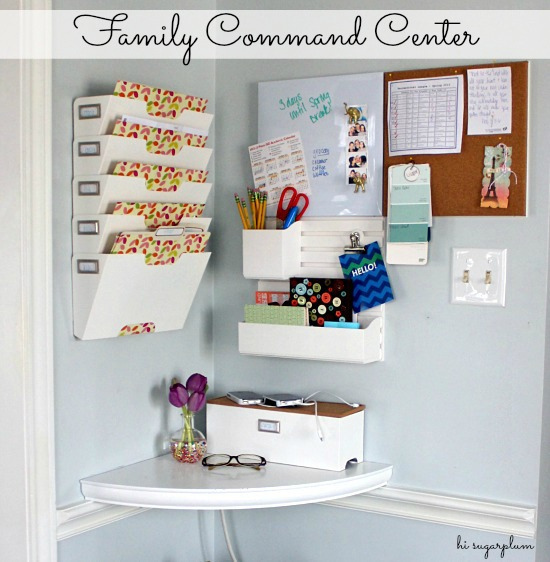 Updated Family Command Center with Martha Stewart's New Wall Manager | hi Sugarplum! Hello friends! I hope you had a lovely holiday weekend, and celebrated with friends and family. In addition to Easter, we celebrated our birthday girl with a fun and colorful Art Party. I’m sorting through the images, and hope to share it with you this week. 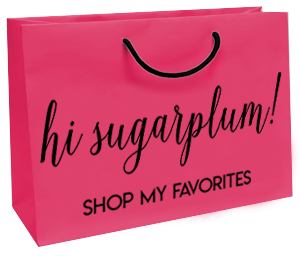 But today I’ve got another organizing project, using a super cool new Martha Stewart product, and a phat giveaway to share with you! And created a drop zone for our family. But you really need to use a space in real life for a while before learning what works best. From time-to-time, it’s good to revisit these areas and make adjustments so they continue to live up to their full potential. Because if the organization isn’t functioning for you, then it will just become another clutter zone. Such was the case with our little kitchen nook… most of it was working great, but the corkboard became a dumping ground for loose papers, and the wall basket was constantly being bumped because it was too close to the edge of the wall. 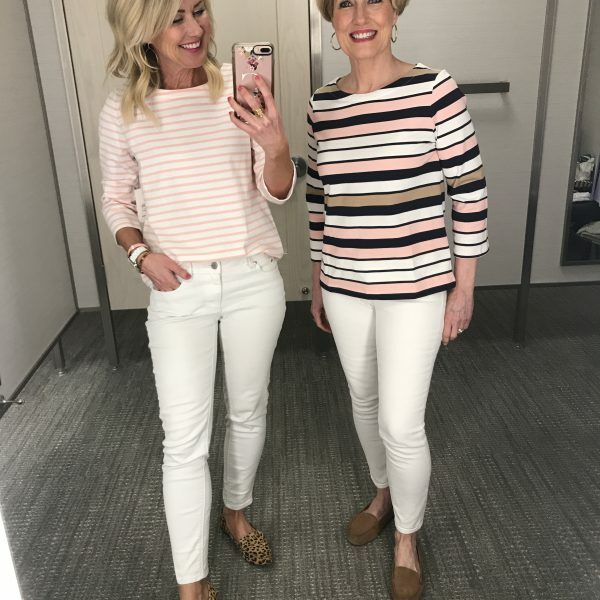 So when Martha Stewart asked me to try out her new Martha Stewart Home Office with Avery Wall Manager system (well, she didn’t, but I guess her people did, so virtually the same, right?! ), I hoped it would help us better utilize the space. The first step is to gawk at all the cool components, then decide how you want to customize your wall. 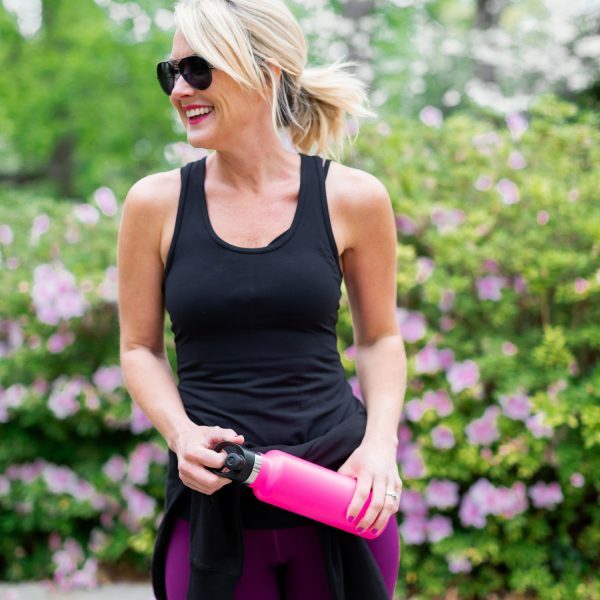 In true Martha fashion, this system is genius… and fool-proof. 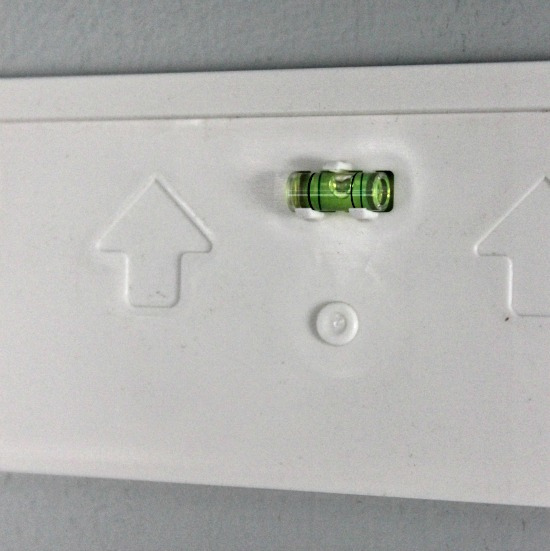 Each board has a built-in bubble level, so it won’t end up wonky on the wall. The bases also have notches to help you align them with each other, either vertically or horizontally. Little sticky pads hold them in place, while you hammer the provided finishing nails in the designated holes. Then you snap the fronts to the base, and voila… wall system! The modular system allows you to customize them to virtually any size wall, in any room. It’s perfect for utilizing vertical space, and not cluttering up table and desk tops. If not for my light switch, I’d have loved to add the wall calendar board. I love how functional it is, yet still looks clean and stylish. 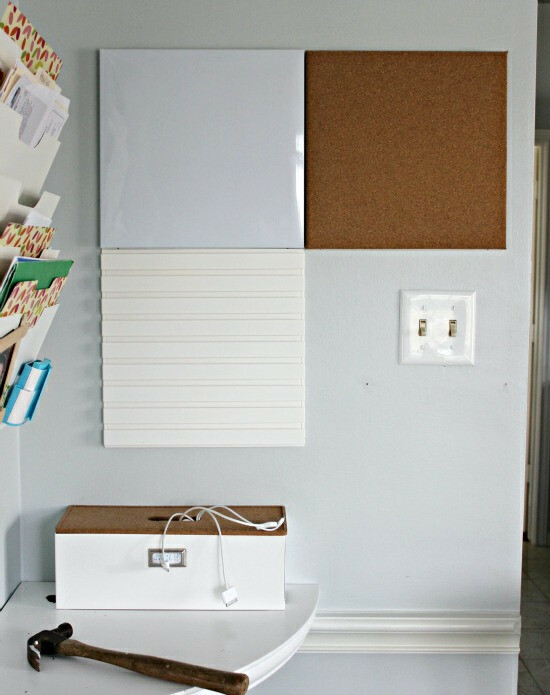 The accessory board allows you to add shelves, caddies, drawers, and even clips and hooks. Simply snap them on, in any arrangement that works best for you. The cork board is nice and deep, so pins push all the way in. The dry erase board is also magnetic, so it pulls double duty. The accessory boards hold up to 10 pounds each, so there’s plenty of room for all our essentials. The original bins and charging station are still working great for us, so I built the new Wall Manager around them. You can choose between white and graphite, and everything is available in-store or online at Staples. UPDATE: This Giveaway is now closed…the winners have been notified! Thank you! 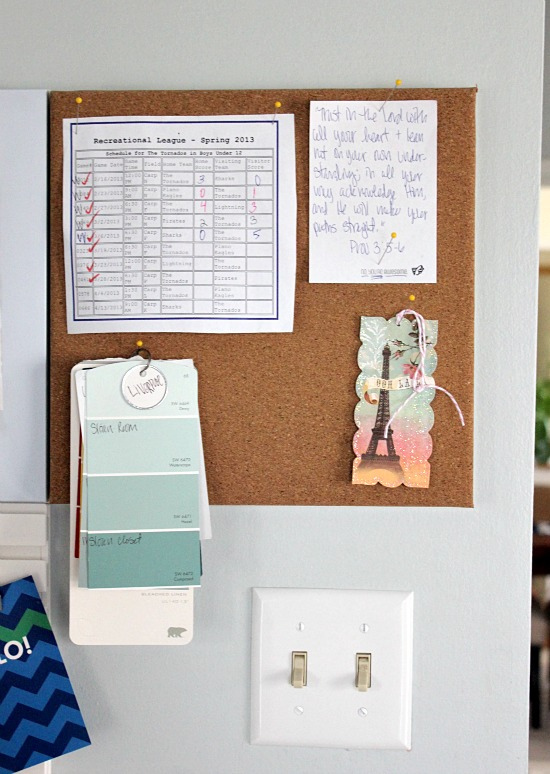 Avery wants to hook you up with your own Martha Stewart Home Office Wall Manager! Just leave a comment telling us how and where you would use the Martha Stewart Home Office with Avery Wall Manager products, and one lucky duck will win $100 Staples Gift Card! This sweepstakes runs from 4/1/2013 – 4/30/2013. Be sure to visit the Martha Stewart Home Office with Avery brand page on BlogHer.com where you can read other bloggers’ reviews and find more chances to win! I saw an ad for the new wall manager and thought it was so brilliant (but everything Martha does is!) I like how you can customize the look and the built in level is just so smart. Your command centre looks even more organized now! I need this for my kitchen. I would definitely use this system to organize my work desk/office area. Love how you can customize the different components to fit what works for your own household! This seems like a great system ~ I want one! I would love to have something like this in my kitchen area! I currently looking for system that I am able to customize and this would be so perfect! I am trying to get completely organized before the end of April! I desperately need a space to keep all the kid's school papers organized. I need a place to hang notices so I don't forget!! This would work perfect! Looks great, Cassie! I love how easy the system is to line up and install! So many options too! Happy April!! In my bedroom, I have a corner that is my "office" of sorts, it's just BEGGING for some better organization. I have a little sliver of wall similar to yours that we use for mail and papers. It needs a little update like this one! I would use it in my office/scraproom. I spent a lot of time in there do all sorts of organizing and planning and would love to have an organization system on my wall to help! I would use this in our back hallway. It would be a good way to round up all those loose papers that end up on the kitchen counter. Looks great Cassie! Our desk area has so many different outlets and switches that make traditional bulletin/cork boards difficult to use. This just might be the solution. I still need to set up some sort of command center in our new home to organize our chargers, incoming mail, bills to be paid, etc…all of that stuff just piles up. This is a great solution! It looks great! I am so jealous that you have such an organized area. I'll get there, I just need to find the right wall. These open floor plans are hard to work with sometimes. I love the Martha Stewart line…they have really made things pretty and usable. We are moving this summer and these organizers would go right next to our new front (read: side) door. I love the white board aspect of it (my hubby is a space cadet), and especially love the fact that's also magnetic (goodbye lost keys!). I would use this to organize our newlywed home! I have a hall tree that is a dumping ground from which I then shuffle items onto/into a writing desk. This system is exactly what I need to not misplace important items! Thanks for the opportunity to win one! I love that corner of your kitchen! Keeping my kids' schedules straight makes my head swim…..I love how you manage to make organized look so pretty! I would love to set something like this up in my office – somewhere wehere I could put orders, bills, etc. and it would stay and look beautiful! I love Martha Stewart products! Thanks for hosting this giveaway! This is great! I love that you can pick and choose to suit your needs and arrange them however they work in your situation. I love your command center! It's great! We have a spot in our new kitchen for this and these products would make it amazing. thanks! Love! I've got a little disorganized nook in the kitchen that would love a little Martha touch. Or the shared office/guest room that my husband and I keep trying to improve. Oh boy. I have things just stuck on the top of books on my bookshelves 'cause I can't find the right place for them. It's so sloppy. I NEED this. I love anything Martha does. I would use the wall manager products in my kitchen. We use the back door (located just outside of our kitchen) as a drop zone, so just inside the kitchen would be the perfect spot! This system looks great! I would use it in my storage closet off of the kitchen. I'd love this for my home office. It looks like a brilliant solution! 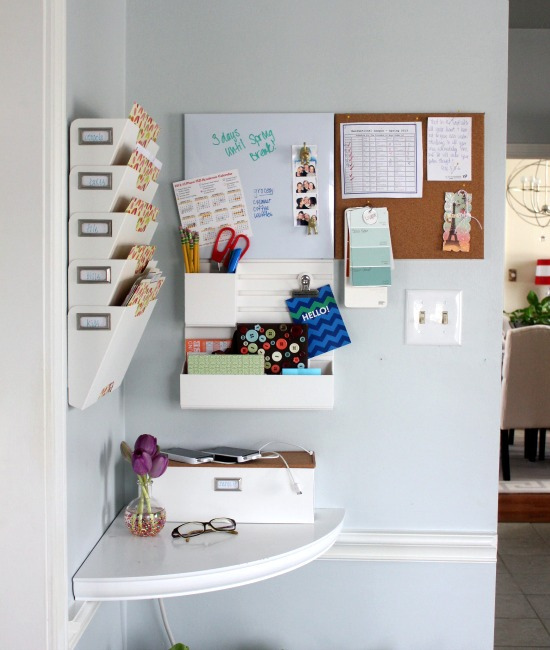 Oh this would be great for the small sliver of wall we have next to the window in our "home office," which is just a plastic folding table in our bedroom and thus has no storage or space to keep papers and small supplies organized. Love it!! My command center is starting to look like a dumping ground. Needs to be redone, keep what works and re-figure what doesn't. thanks for sharing!! I've been looking for something like this!! 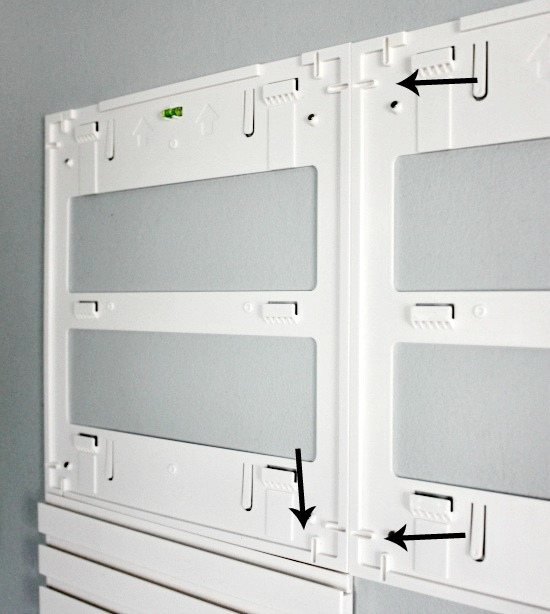 Pottery Barn stopped selling the white wall organizer. Very nice! I would love to win this! I want my next apartment to be much more organized than the one I'm in now! i have four children on 3 different schedules and my husband and i both work full time outside of the home… how would i NOT use this?! i'm all about lists and calendars and keeping it all current. i like the clean and organized look of this. I LOVE this! I would for sure use this in my home office area, mainly to keep track of our family calendar and school notes, etc. Love the clean look of it! I tweeted about the sweepstakes too! I'd love one of these in our home office! Things tend to get out of control there really quickly! It'd also be great for our drop spot in the kitchen. Decisions, decisions! I would use this is our new home command center as well. We're moving and now I have a whole new space for a command center- SO excited! I think I would do almost exactly what you have done. We are desperate for a drop zone other than the dining room table! I'd create a command center just like you did! Love it! What a good use of an empty wall. Woweee! My kitchen is in desperate need of something just like this! Great idea. I would definitely put it in our office / craft room! Or use it for a bill center . . . too many options! But it would definitely be used!!! I would put it in my kitchen to keep all mail organized. Great giveaway! This would be so helpful! I'm not naturally organized but want to be so desperately! I'm sure Martha could help 🙂 I would use this in my kitchen to organize the bills, mail, school papers, etc. thanks for the chance to win! I have so much to organize, but would probably use it in the kitchen. I was just looking at this the other day at Staples! I was thinking of using it on the wall right behind my desk. I love the accessory board! I would use this system in my kitchen area to help us organize our phones, calendars, papers, keys, etc. That looks great! We need to do the exact same thing – our kitchen table is turning into our paper area and we need to fix that immediately. We have a blank wall in the kitchen that would be great for this organization. LOVE this idea!! I have the perfect spot in my kitchen for this. I am organizing my house like a madwomen this summer. I need this! I would use this awesome system in my kitchen to organize my 3 busy teenagers. Nice blog & Good post. Its very helpful for us, we are awaiting for more new post. Thank You! This is just what I need!!! We love in an old hose with irregular walls and wonky little corners and sloped ceilings so this system seems like a great fit for us! 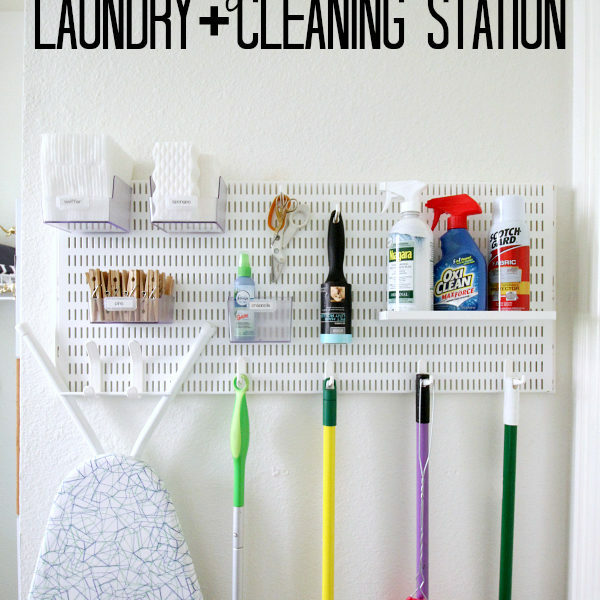 I would use this in our mud room or maybe my teenage son's room… Great post! I would use it in my home office. 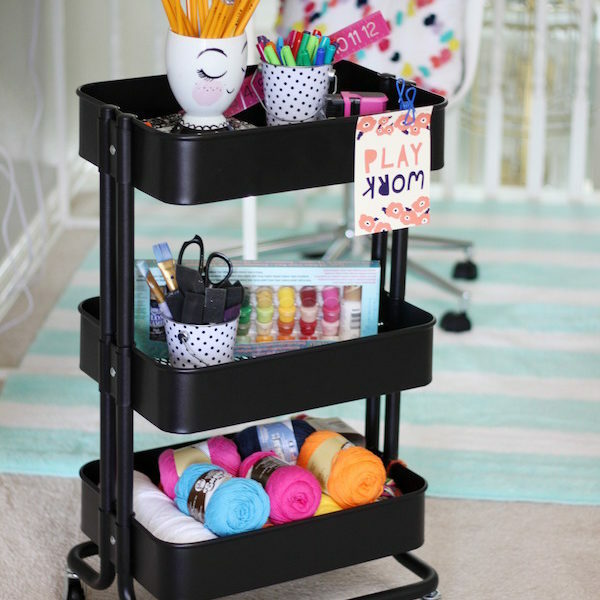 I work from home and have been looking for just this type of organizer for my desk area. I would be emabarassed to show before pictures!!! Please please!!!! I would use this constantly! Our family is super busy-my husband and I work opposite schedules to be available to care for our child with special needs. 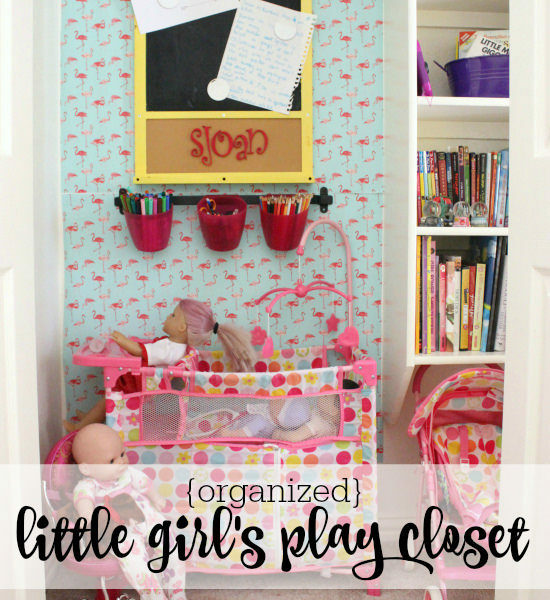 Organization is crucial here to keep our doctor and therapy appointments on track—and of course fun things too:-). This would look great in my kitchen!!! This looks great! It would definitely help keep us more organized. We have recently turned a barn into a house and I have 2 doors we are trying to decide which to make the "drop zone" – this would be a GREAT start to that set up!!! I would love to create a family command center in our new house. Right now we just have a 'box' for papers and oh the clutter! This would be an amazing item to win. I am trying my best to organze my family before my oldest starts kindergarten next August. 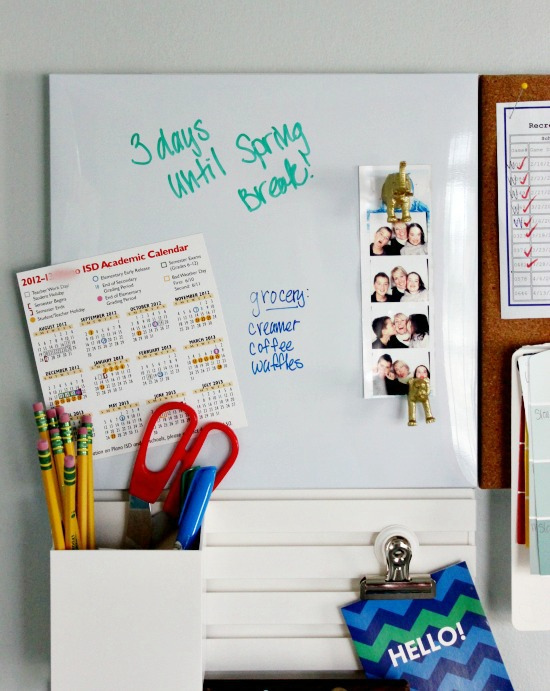 this is such a great giveaway, I love staples and all of the great organizational products they carry! This would be perfect for my new home office. We just move and I finally have an office/craft room all to myself! I would use this in my kitchen to keep track of my 16 yr old daughter's cheerleading schedule and incredibly busy sshool and social life. Your center looks GREAT! Love the material and it looks super functional! I would love love love this!! I would put it in my kitchen for better visiblity. Right now everything is in my office and gets lost!! I would most definitely use this in my kitchen! We rent a very small house right now, so using our space efficiently is a must! I would use these products in my kitchen to keep me & my roommate better organized. This would be perfect in our kitchen. We have a little corner area by the back door that is unused wall space and we definitely need a place to put all of our paperwork! I LOVE to organize and having two kids makes keeping thing straight very challenging. I would LOVE to put something like this command center in my house. Very nice!! I'd use it above my desk! Gotta stay organized! I could use this on the end cabinet in my kitchen! Oh how fun! Your wall looks great. This would be perfect for my daughters desk area! Love them! Looks great. I just started working from home and this would help me outfit my new office. I'm working on a project that needs this!! I would be thrilled to win! I love your updated space! This would be perfect for my home office. Thanks for the chance to win! I need this system in my kitchen. Or in my office. Or in my son's room. Heaven help me, I need to get organized! We bought our very own first house. This would be perfect for me to stay organizedand focused while I am in the process of making it "our home". I'd use the Martha Stewart products in our kitchen – we have a small command center right beside our fridge that's in need of some TLC. This would be a great addition to the blank walls in my home office. With "stuff" ranging from work to school, it would be a great way to give those papers a home. Would love to have this to simply our families life! Would love this to organize our family of 4! Love it! And I know just where I'd put it. I'd love to pick out some Martha supplies at Staples to organize my new desk. I love this and totally want to win one! Thanks for the giveaway! This would be great in my son's room. 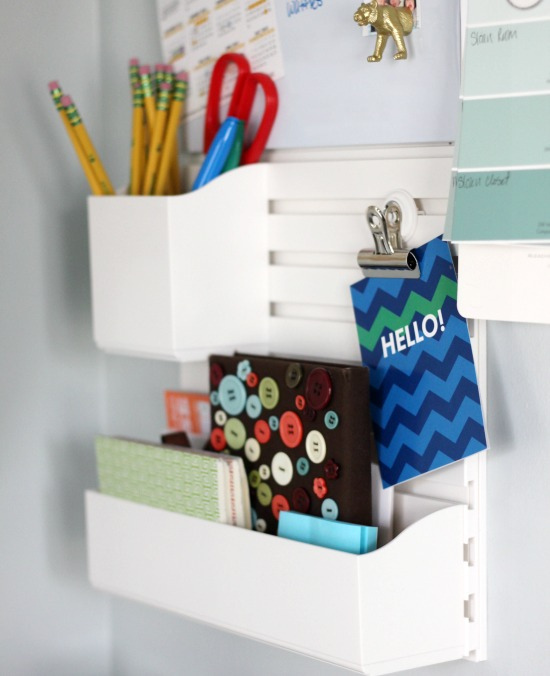 We have been looking for something like this to keep his school assignments and schedule organized. This way he can see them at a glance. 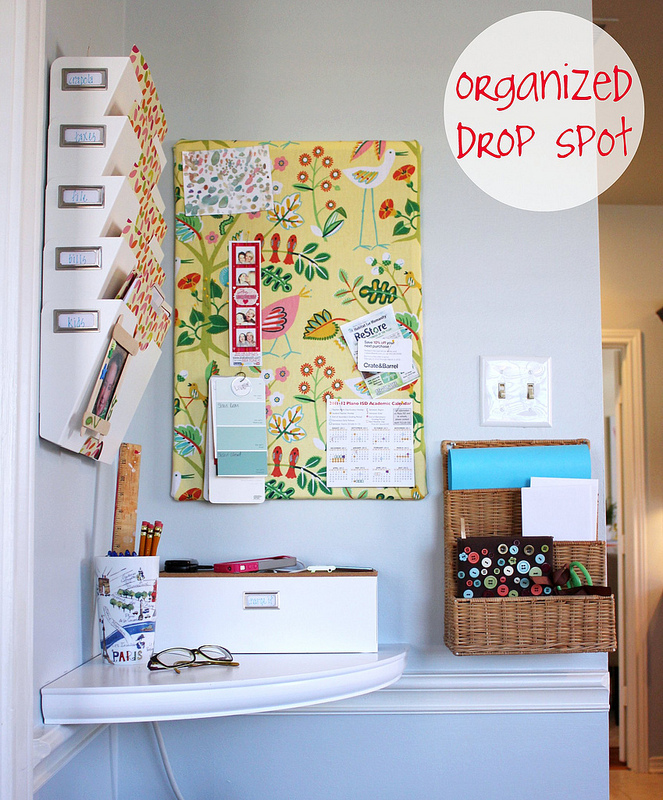 I'd use it to organize our homeschool room! I love this system! It reminds me of PB without the sticker shock! This would be useful in our computer room, above our computer desk. We could organize our important bills, a couple of small gadgets and random items. It would be a great organizational tool for us to help clear up clutter. I'd love to organize the home office. I have so much clutter on my desk. We'd put this right by the door in the kitchen so that every member of our family can check schedules, write messages and reminders, and leave important documents and papers. This would be great to organize the heaps of paper cluttering our kitchen counters! I'd use it anytime we have time off from school for any project my daughter wants to work on. I would use this in our family room, next to my desk. This would really help me to be more organized. i'd use a gift card to buy a huge travel drive for use to back up my files easy peasy. 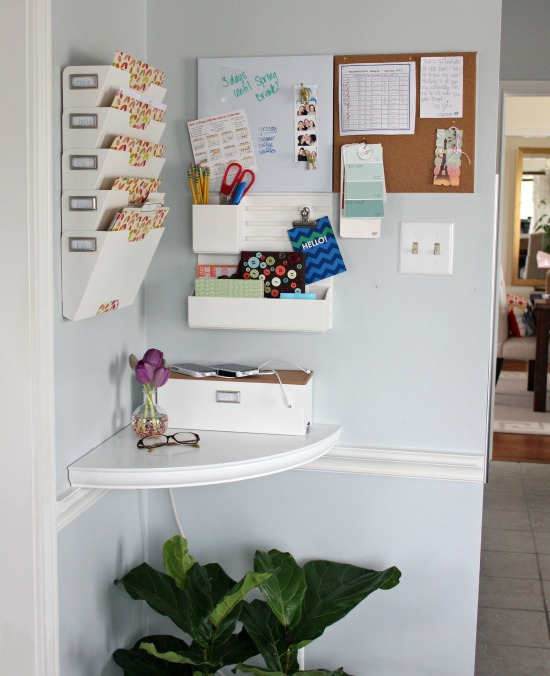 I could see a wall organizer in my kitchen for all the stuff that clutters the counter top. I would use their products in my office. I currently rely on boxes and my desktop space to contain my clutter! We're currently turning our dining room area into an office space. There are doors on every wall, so there isn't a ton of wall space. Having something like this would be perfect to organize the wall space we do have! This would be great in my home office by my desk. It would get me more organized. My office really needs this! I would use it to organize our family papers in our entry. I love the wall manager for our home office, it will help a lot to de-clutter the desk and coffee table. Fireman/medic husband busy schedule and I stay at home with our baby would love this to keep things organized! Yours looks great! So handy, I'm sure. 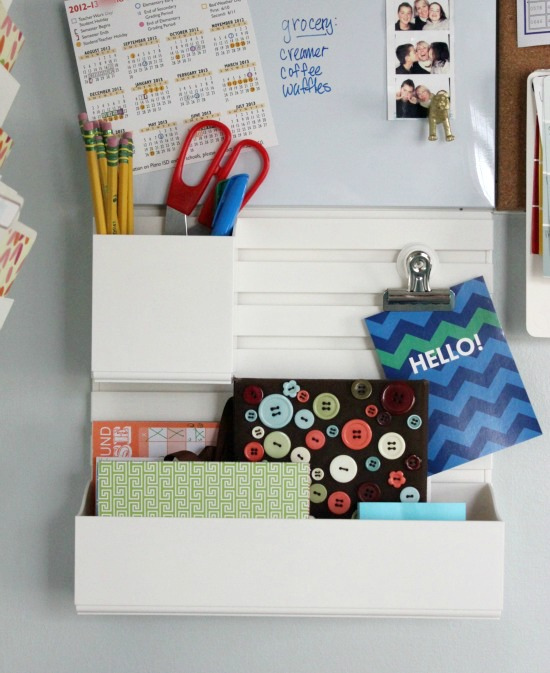 I'd love this to put by my desk for organizing all of the little stuff that clutters my desk. I seem to have so many notepads, sticky notes, pens, coupons, etc. What a nifty system! I like the leveling bubble especially. If I were the lucky duck, I would put the system next to our side entry, where we come and go each day. I would use this around my computer desk to make it alot neater! Would love this in my front entry way! I'd love to have this in my home office. I work from home and there's always so much clutter around my desk. I'd put it right above my computers, that would keep me organized so much better! I'd use this in my computer room to store notes, pens, paper, and other odds and ends. it would be used in my den to put weekly papers, shopping lists, ad circulars, coupons and notebooks I need to reference regularly. I love the cool designs of these Martha Stewart Home Office with Avery Wall Manager products! What a great way to utilize your "un-used" space. 🙂 I need these Martha Stewart Home Office with Avery Wall Manager products in my home office. I have quite a pile of receipts, forms, craft tools that need to be organized. 🙂 These products are perfect. I'm about to graduate from college so this would be a perfect item for my new place as an official adult! I'd put it right inside the kitchen near the back door. 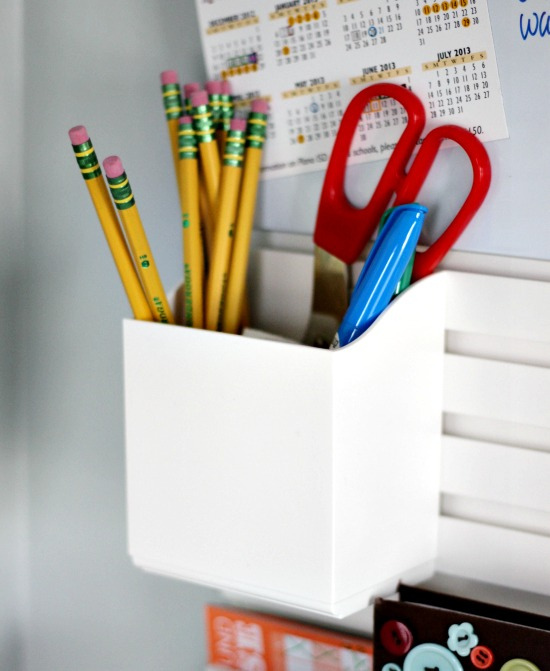 Perfect for keeping me organized–coming and going! I'm not exactly sure where I would use it but I sure need a spot like this. I would use it in my home office. It would be so great to get all of my mail and other paperwork neat and orderly so I can easily find it! I love this ideal. It looks so simple but perfect for a corner nook. I love how organized it is with the different sections. What a great post! My husband and I are always forgetting projects that we want to complete and I would love to have this near our kitchen/family area. Thanks!! I have an unused spot of wall behind my desk that would be perfect for an organized station. This is a great for my home office to clear up desk space. Omg where wouldn't I use it? My first place will after you round the stairs to our second floor which is our main living areas floor. It's also where back packs, school books, library books, pens pencils, even those boys that as they walk the stairs they are slowly dropping trousers to change into sweats, each shoe, each sock etc. there I would post the do not do these things along with all the family's agendas, places to put all of these pocket and body items and storage for the backpacks etc. thanks for hosting. Love your blog. It's a newer one for me. I need a small space system and this would be perfect! I would use it next to my computer and I could use it next to my bed also. Great product. I would set up in the kitchen since I only have a small space to use as an office. 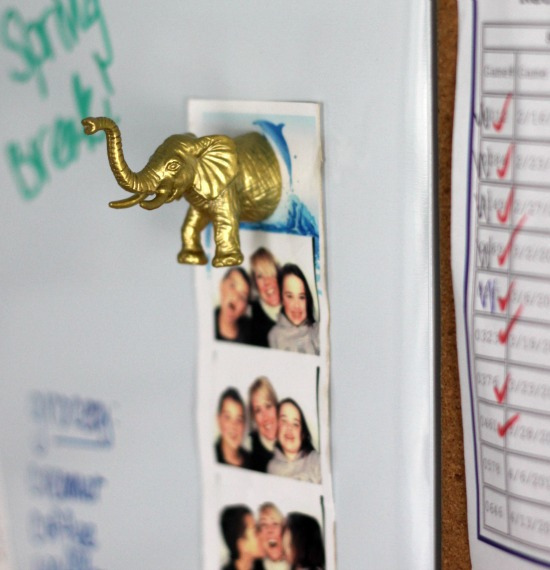 I love the elephant magnets? I'd love to use these products to help me organize my home office. I would use it in my very cluttered kitchen, to organize and make more counter space. My home office needs rescued. I'm ready to ditch my mismatched college dorm room big lots crap for Martha's coordinated collection. 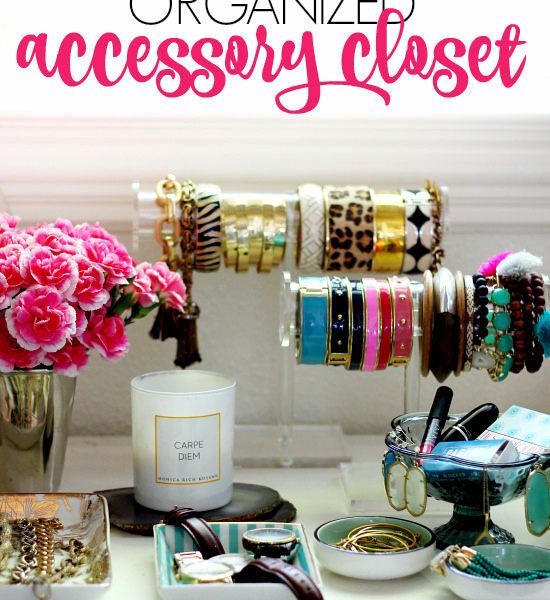 I need this for several areas – My office is chaos right now, my little bedroom desk is terribly cluttered and my craft room is totally disorganized. Wow could I ever use the Wall Manager in our office at home. I have very limited desk space and this would be perfect! 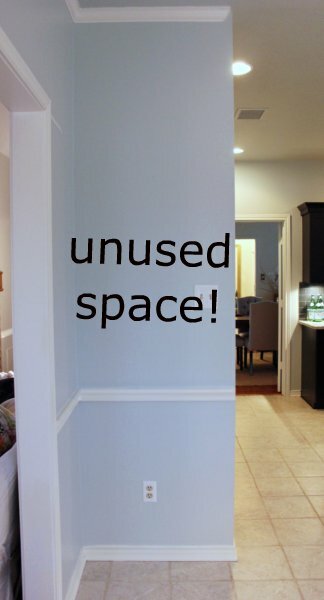 I love how you used the "unused space"! I would love to buy some Martha Stewart products for creating my craft corner! My office is a small corner in the living room. I would love to find some ways to make it more organized, while also maybe hiding some of the clutter. I am moving to a new home next month and would love to be able to use the Martha Stewart Home Office with Avery Wall Manager products right above my craft/office desk. The area usually looks so cluttered from all my stuff. I need these to help me organize the space and get it neat and clean. Cass , this would be so great to have in our office/computer area. We have so many notes laying around , also phones, blacberry, keys, blue tooth, ect .. half the time we leave home forgetting something. This would be ideal to keep everything in one spot where everyone will know where look . 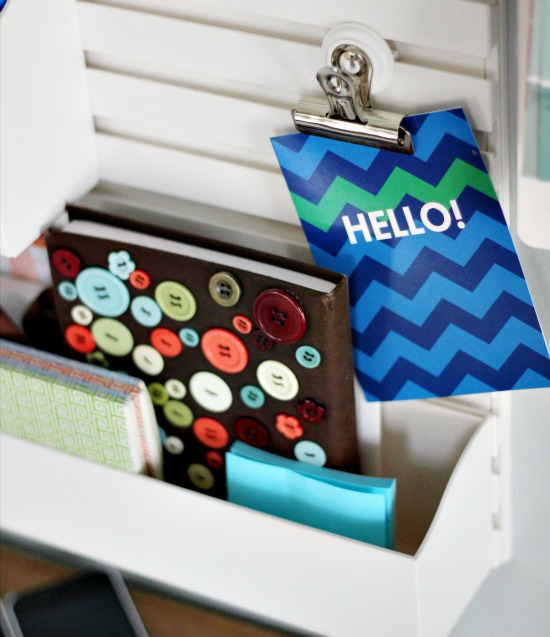 I'd use it in my home office–I need some serious help keeping everything organized! Very nice! I'd use it over my too small desk to organize papers, bills and mail. i'd use these products in my home office, and organize my files and mail. We have a very similar wall in our kitchen that goes unused. We have a cork board on it but it is as mess! I would love to get that hanging folder slot thing to organize bills as they come in! I love your family command center! Such a nice change. I would use this in my home office. The desk is glass so that means no drawers or storage. This would help me get organized! i'd use them in my home office to organize my files, bills, and mail. I still write letters! 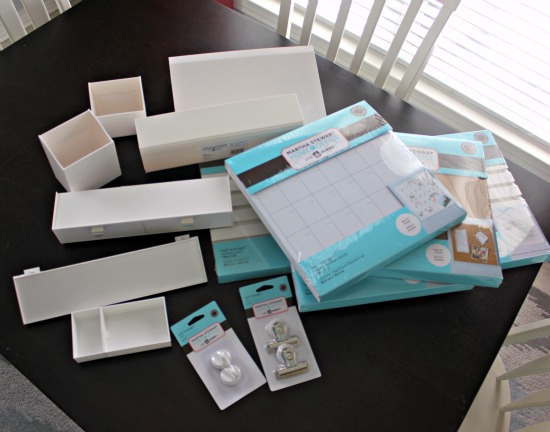 I would use the Martha Stewart Home Office with Avery Wall Manager products to get my home and office organized. I have a tendency to be messy and that leads to a lot of time wasted searching for things, this would be a lifesaver! I'd use the Avery Wall Manager products to organize the stuff around my computer. This would be perfect in my entryway by the closet. I would put my keys and mail there along with the checkbook. Thanks! Hey there, I will use them to decor my little work area in my bedroom. where is the 5 tier folder holder you have located on the opposing wall from? it would be perfect for my classroom and I'd love to know where I could purchase it. What a neat product! 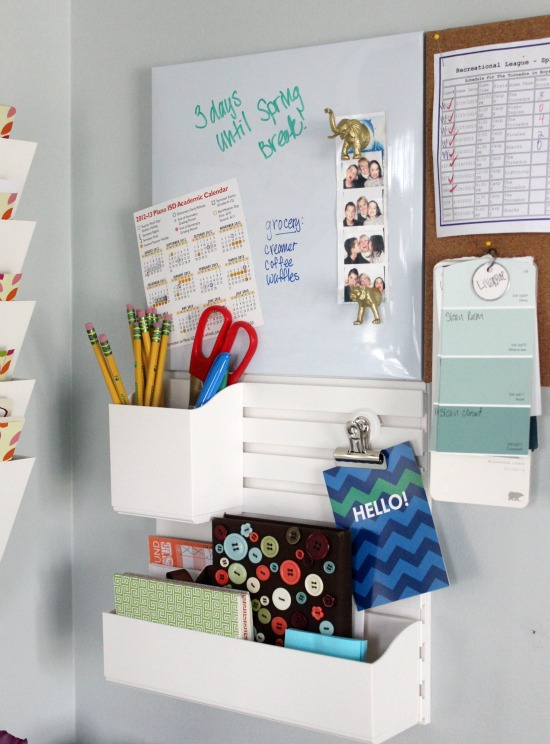 Would love to have it in my son's room to organize his homeschool assignments and notes! Where did you buy the file folder-thingy (I guess it’s called a file caddy)?